I purchased this pattern at Churchmouse Yarns & Teas. Click here for the link; it's called the "Vintage Crocheted Throw & Afghan"
Lots of ends to weave. Wishing you a joyous heart! I love your latest blanket and i love your pile! It brought a smile to my face. just wish I had a pile that looked as good as yours! So pretty! 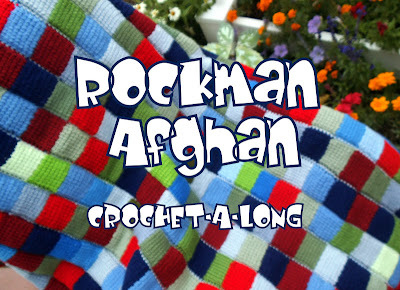 My afghans and blankets don't seem to color-coordinate. That could be because I like to try all different colors. One of these days... I should plan a series of projects all the same colors. Maybe for the first grandchild, but then again my son's only 16. (Knock on wood -- don't want to jinx anything.) LOL. That ripple blanket looks wonderful! Spring. Only 2 months away! Yippee! Wow love this...I have the pattern but could not find the motitvation..I think I have found it! Thanks so much! Hola Astri realmente precioso tu proyecto buenos colores y el punto me encanto un beso Sandra. Oh my goodness, what an outpouring of wonderful comments. Thank you all so much. Oh yes I would love 100% wool, but that will have to be in my retirement when I own a yarn shop, haha! Thank you for the pinterest pins, as well. Makes me so happy! Wow your blanket looks amazing - what an intricate stitch pattern. I can't wait to pop back and see it growing. Have a wonderful week hon. 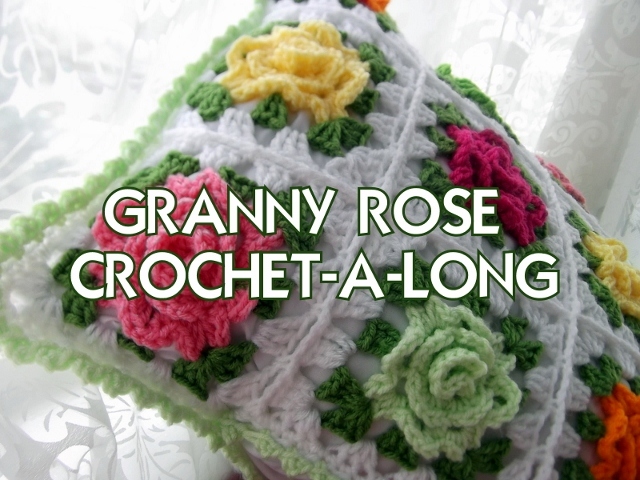 I've been wanting to buy this pattern - can you tell me if it would be difficult for a beginning crocheter? Your color combo is pretty - glad I found your blog thru Pinterest! Thank you Toni - glad to see you are new follower. Welcome to Apple Blossom Dreams! I wish this pattern had a diagram. For $5 it should have more than the little info that it comes with:/. I was looking around for some help with it & came across your lovely pics. Looks like you had no trouble! I wish I could find a diagram! It's possible that Sandy at Teacup Lane may have a diagram. Good luck! Hello TJ - I am not sure what you are asking. 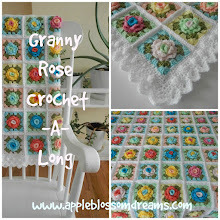 Please see this post about the finished blanket http://www.appleblossomdreams.com/2012/02/vintage-ripple-ta-da.html. I purchased the pattern from Churchmouse -link in both posts. I saw your beautiful afghan so I also purchased the pattern I love this pattern. What brand of yarn did you use and also what were the color names? I just love the color choices. It's all red heart worsted yarn. I think the color names are: white, cornmeal, light blue, periwinkle and red. The green is by Sincerely and it did not have a name. I hope that helps!